When you become a Chamber member, you invest in the future of the business community and ensure that the Chamber keeps working toward its mission…working together to build a healthy economy and to improve the quality of life in the Lewis Clark Valley. The Lewis Clark Valley Chamber of Commerce connects its members to people, information and resources they need to make a positive impact on our community. Our members have the opportunity to promote their business through events, marketing, exposure, networking, credibility and workshops and seminars. The chamber holds several annual events each year, in addition to a monthly lunch exchange. Each event is an opportunity to promote your business – either through sponsorship or participation. From website to newsletter advertising, member-to-member discounts, or running your business’ information on the chamber reader board, the Lewis Clark Valley Chamber will help you market your business. Every chamber member is listed in the Business Directory on the chamber website, promoting your business or organization to the world 24 hours a day, 7 days a week, 365 days a year. Membership connects you to potential clients and customers at every event and monthly meeting. People like to do business with people they know. The chamber will also only refer our members for any requests or inquiries. 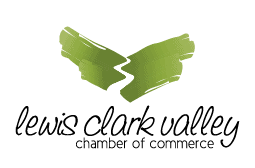 Becoming a Lewis Clark Valley Chamber member lets your clients and potential customers know you are a part of our business community, and to your city. Keep your competitive edge by participating in the chamber’s programs and training seminars. *Non-Profit Rate Available for Partner Membership (Up to 30% Discount). Proof of Non-Profit status required. *Non-Profit Rate Available for Associate Membership (Up to 30% Discount). Proof of Non-Profit status required. *Non-Profit Rate Available for Supporting Membership (Up to 30% Discount). Proof of Non-Profit status required. Lewis Clark Valley Chamber offers a large number of engagement opportunities for your business. Whether you are looking to create connections with others on a committee specific to your industry, getting involved in developing your future workforce, using your voice to advocate on behalf of your region, or just creating more visibility for your company, we invite to participate. Here is just a few examples of ways you can get engaged with Lewis Clark Valley Chamber and the business community. Don't have time to participate? Let us work for your business and on behalf of the Lewis Clark Valley community through its advocacy, economic development, small business and workforce development efforts. Become a leading force driving the Chamber’s vision. Lend your expertise and leadership to a Chamber committee. The monthly business journal and weekly emails keep you current on issues and events. Advertising request forms are available for you to add your events to these communication tools. Let your elected officials know where you stand on certain issues. Be an active member in the ID/WA Government Affairs/Legislative Committee and participate in monthly legislative conference calls. The Chamber actively participates in community events year-round such as the Dogwood Festival, Lewiston Roundup Parade, NAIA World Series events, Refresh the Valley, Rockin’ on the River, Lighted Christmas Parade and Scholarships provided by the Agriculture Committee. Develop a network at Chamber events such as Business After Hours, monthly Lunch Exchange Membership Luncheons, CEO Breakfasts and other special events. Simply stated, people love to do business with people they know. The Chamber can be the very best vehicle for you to become recognized through your contributions of time, talent, and treasure. Compared to traditional advertising, Chamber events and programs allow potential customers to know you and your business/organization on a first hand basis. Promote your business of event in our monthly newsletter that is sent out to business and community members. Contact the Chamber for information on pricing and to reserve your space. Every Chamber member is listed in the Business Directory on our website, promoting your business or organization to the world 24 hours a day, 7 days a week, 365 days a year. membership and a free lunch at our monthly Lunch Exchange. Find new customers through our referral service. The Chamber is the front door to our community and we receive hundreds of inquiries every week. Last year, over 5,000 visitors stopped by our Chamber office for information! This program featured in our monthly newsletter offers special rates on products and services from Chamber members for Chamber members. When you take advantage of these valuable products and services, you’re supporting your fellow members and your Chamber. Sponsorship opportunities are available in a variety of forms and price ranges. Do you want to market your business at the Auction, Golf Tournament, Business After Hours, or the monthly Lunch Exchange Membership Luncheon? The Chamber Newsletter? Contact the Chamber for information on how you can use these forums to promote your business. Other event sponsorship opportunities are available. For additional opportunities, please contact us.